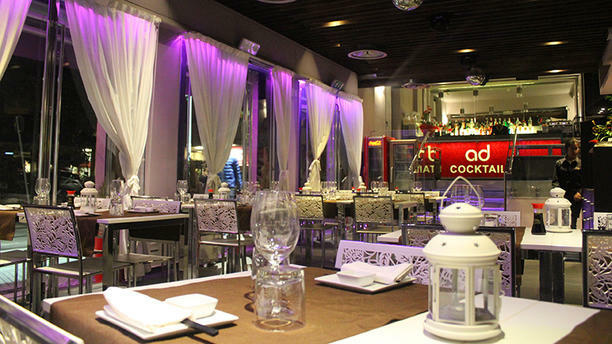 LA STRUTTURA - Il ristorante Ad Sushi & Ramen è un locale ideale per gli amanti del sushi e della cucina nipponica. Ramen è un tipico piatto giapponese a base di tagliatelle di tipo giapponese di frumento servite in brodo di carne e/o pesce. Si trova nel cuore di Milano, a pochi passi da Piazza Gae Aulenti e Corso Como, zone ideali anche per un dopo cena. LA STORIA - La famiglia Wang è da oltre 15 anni attiva nel settore della ristorazione milanese. Nella preparazione delle portate vengono impiegate esclusivamente materie prime di ottima qualità. Il pesce è sempre freschissimo. Have eaten there several times. Good choice also for vegitarian. Friendly staff. Bel locale, ottimo ramen e sushi ben preparato. They do NOT speak English, no one there!! No english menu, and they cant explain dishes. The waitir was very very unfriendly and give us the feeling we are in a wrong place because we dont speak italian!! I asked him for a Rosé wine, he didnt let me finish talking, he said yes yes and finaly we got a sparklin wine. We will never go back in this restaurant and I definetly wouldnt recomend anyone to go. Ramen discreto. Uramaki e maki minuscoli. Personale gentile e professionale, ma non credo che tornerò. It was one of the worst sushi I ever had. The ramen was average. I went to this restaurant 24 dec. When I was making my order they didn't have many of the ingredients on the menu such as eel, carrots and some others. Ramen could be also better.. Will not visit again. Very nice place, excellent service and amazing food. I really suggest you to try it!! Good service and good mood. Food was normal, even expensive comparing the price (without discount) to the quality of the food.